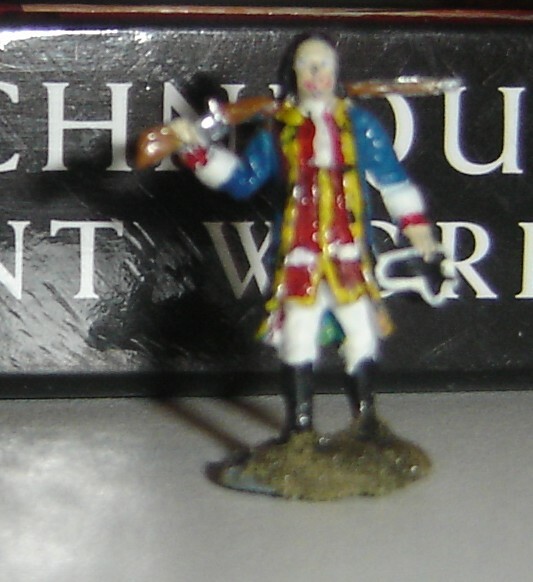 Imex American War for Independance man of the American Militia. Basecoat blue, painted vest red, socks and sleeves white and hair black. From here painted rifle with brown and gun metal mixed with silver. Outlined the vest in yellow with black buttons. White sleeves black boots and red collar, sleeve ends. White necktie and pockets. I think one of my nicest figures.